Login is emailed in 1-2 business days. Check Spam, Trash, and Updates folders. How Does Shormann Interactive Math Work? Watch this short video to view how the Self-Paced eLearning system makes learning faster and easier! 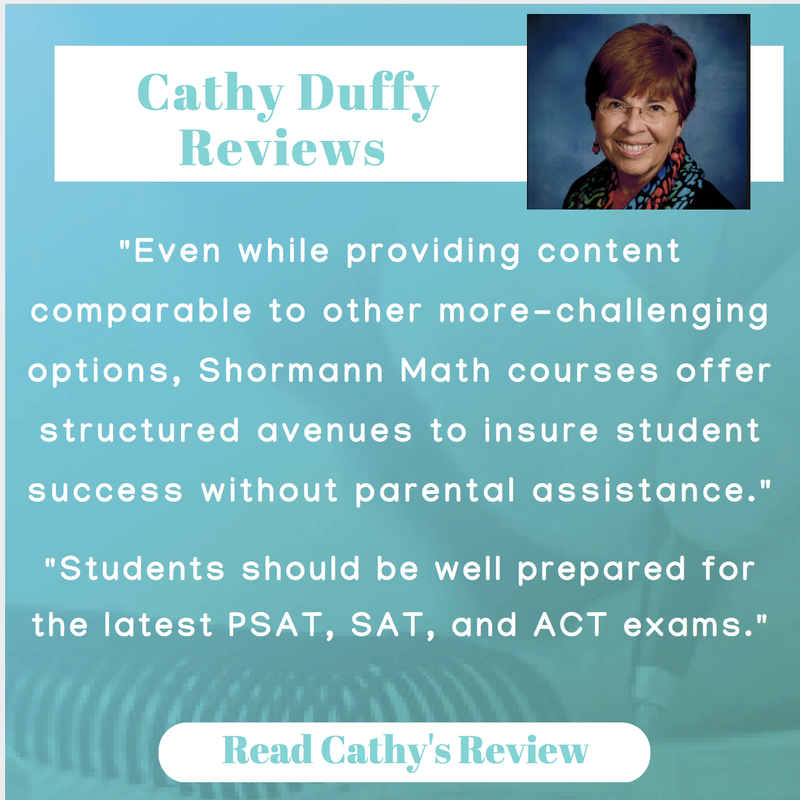 Featuring an integrated approach to math that includes technology applications and real-world word problems, Shormann Math is a 21st Century curriculum that provides excellent preparation for the new, redesigned PSAT and SAT, as well as ACT and CLEP exams. Shormann Math is built on a biblical and historical foundation that teaches math as the language of science; a tool used to better understand God and His creation. An emphasis on math history gives students a clearer picture of the "why" behind the math they are learning, while shedding light on modern math's rich Christian heritage. Hosted in a state of the art eLearning Campus similar to the systems used in college math classes, students learn more efficiently, building fluency with less homework than traditional Saxon texts. Students learn how to use math as a tool to explore their world and enhance their own God-given creativity. Learn more: Saxon vs Shormann Math here. - Video solutions will be live in May 2018. - Quarterly exams with automated grading, practice exams, and solutions. *Printing is not necessary. It is only offered for those who prefer a physical textbook. This is a self-paced course. Instead of requiring the student to complete one lesson per day, use the timed method. This give the student the time required to re-learn forgotten concepts, building mastery and, eventually, fluency. To do this, work on math four to five days per week for an hour and a half to two hours per day. At the end of this time, regardless of how much of the lesson has been completed, have the student stop and pickup where they left off the next day. Over time, as fluency develops, learning math will become faster and easier and the student will accomplish more and more during this time. Each lesson is made of three components, Rules and Definitions, Video Lecture, and the Practice Set (homework). Following is a sample of each of these components in the order the student would complete. 2. Watch the video lecture, taking notes and working example problems with Dr. Shormann. Most lectures average about twenty minutes. 3. Complete the Lesson Practice (homework). Work every problem on paper, then enter the answer and select Submit for instant feedback. There are two links above each question (see graphic below). One is a link to a similar example problem and one is a link to the video lecture that teaches that concept. If your answer is wrong, or you don't know how to do a problem, use these links to quickly re-learn and try to solve the problem again. Because the homework is practice, up to four attempts are allowed for each problem. Points are deducted for each wrong attempt which keeps the student from guessing. 4. After completing all the questions, click Submit All and Finish at the bottom of the page. The system will calculate the score and store it in the online grade book. 5. 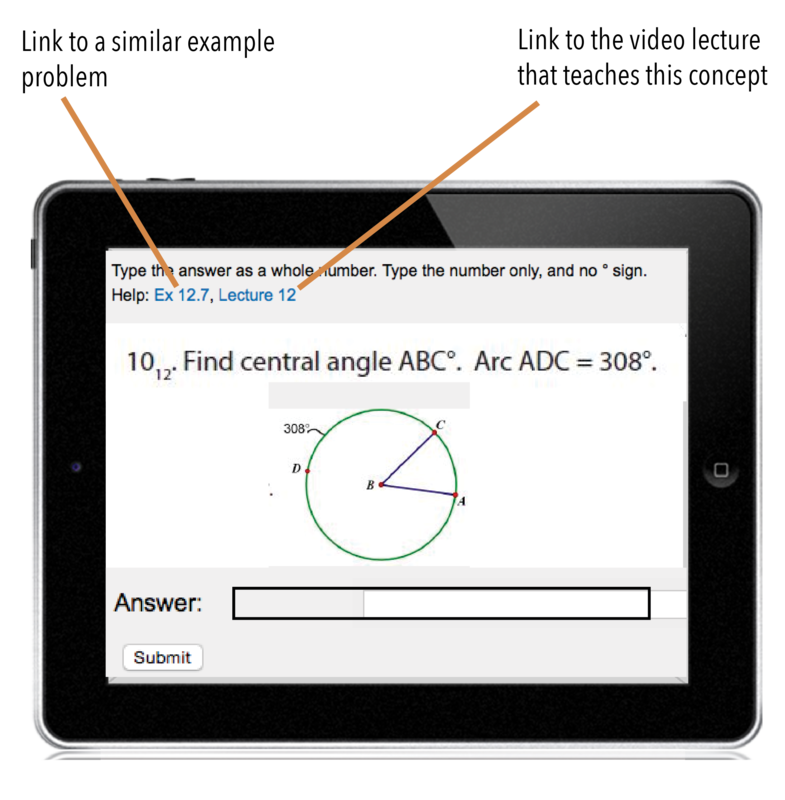 The Results page will appear (below) with the grade, all the questions, correct answers, and solutions to every problem. The Results page can be downloaded, saved, and printed for your records. 6. Students re-learn and correct missed problems by looking at the correct answer and watching the video solutions for each missed problem. Each missed problem must be solved correctly on a corrections page. 7. If a problem cannot be corrected, the student should email Dr. Shormann. If the student has any handwritten work on the problem, they should take a picture of it and include it in the email. Then Dr. Shormann can quickly show the student where there mistake is. 8. All grades are stored in the online grade book. Parents and students can view the grade book. Parents request grade changes and assignment resets at any time. Every fourth lesson there is a four question quiz over the past four new concepts. Notes can be used during the quiz. There is a time limit of twenty minutes. which is about twice as much as most students need. See the FAQs for a work around, if more time is needed. Every twenty five lessons a quarterly exam is administered. This is a cumulative test covering all the material the student should have mastered to that point. Two to three practice exams are provided to prepare for the exam. Quarterly exams prepare students for college math exams that cover a large body of material. Standing on the shoulders of math giants like Euclid, Euler, Newton, together with John Saxon’s common sense teaching methods, we are pleased to present Shormann Math! Taught from a Christian foundation, this new curriculum by David Shormann builds on a firm foundation of time tested, proven methods, enhanced with 21st Century content delivery. Because scholars consider mathematics to be “the language of science,” these courses teach math like a language. In a foreign language course, you don’t learn nouns for a year, verbs for another year, etc. You learn a little of each concept, combined with lots of practice and review, Then you combine the different concepts together to create more complex concepts. Fluency is achieved through patient practice and repetition. 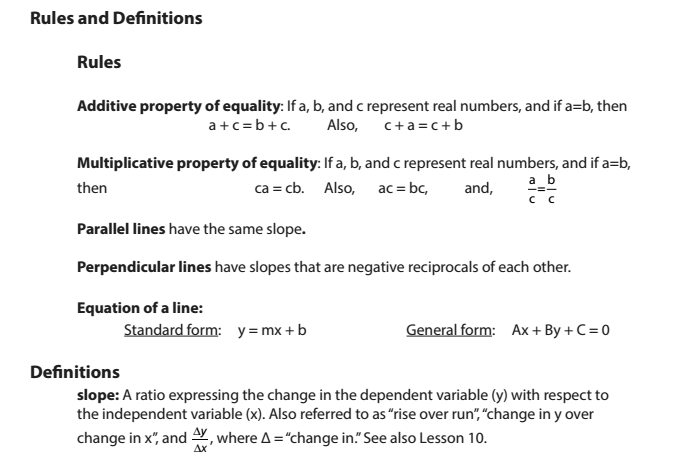 While Algebra 1-level concepts will be the focus of our first course, our primary goal is to teach mathematics, not just algebra. For example, Algebra 1 and 2 will contain a full credit of geometry, including plenty of proofs, even some straight out of Euclid’s famous book, The Elements. But we’ll also introduce non-Euclidean geometry, and show students how the concept of proof applies to all of mathematics, not just geometry. In fact, all the algebra, geometry, trigonometry, etc. 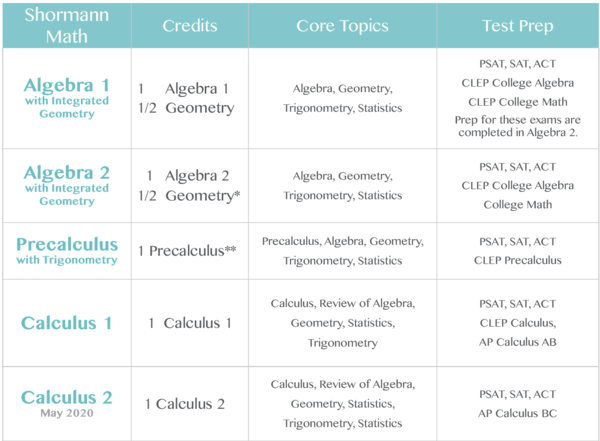 that a student will find on the SAT (including the new SAT) or ACT will be covered in Algebra 1 and Algebra 2. Most modern mathematics curricula ignore math history. But ideas have consequences, and studying history often reveals which ideas are worth repeating and which ones aren’t. There is a rich Christian heritage in math. Whether or not you are using a classical, trivium/quadrivium approach to your child’s education, understanding mathematics within a biblical, historical framework will help students make more sense out of what they are learning and why they are learning it. What is Shormann Interactive Math? Published by Dr. Shormann, author of the award winning DIVE video lectures for Saxon Math, and based on John Saxon’s original teaching methods of incremental development, continual review, and integrated algebra and geometry, Shormann Math is a 21st Century curriculum that teaches all the concepts required to excel on the newly redesigned PSAT and SAT as well as the ACT. It includes concepts like technology applications, computer math, real-world word problems, and non-standard solutions not found in Saxon Math. What’s the difference between Saxon and Shormann Math? What does “biblical foundation” mean? Built on a biblical and historical foundation, Shormann Math teaches math as the language of science; a tool used to better understand God and His creation. With an emphasis on math history, students get a clearer picture of the "why" behind the math they are learning, shedding light on modern math's rich Christian heritage. Shormann Math students learn how to use math as a tool to explore their world and enhance their own God-given creativity. Why Did Dr. Shormann publish a new curriculum? How does the Self-Paced eLearning course work? Getting Started Lesson: This video walks you through the course and how it works. Demo Course: The first four lessons of each course can be completed in our eLearning system. How do I list Shormann Math credits on a transcript? A Subject Transcript, which lists credits by subject instead of by year, is recommended for all students. 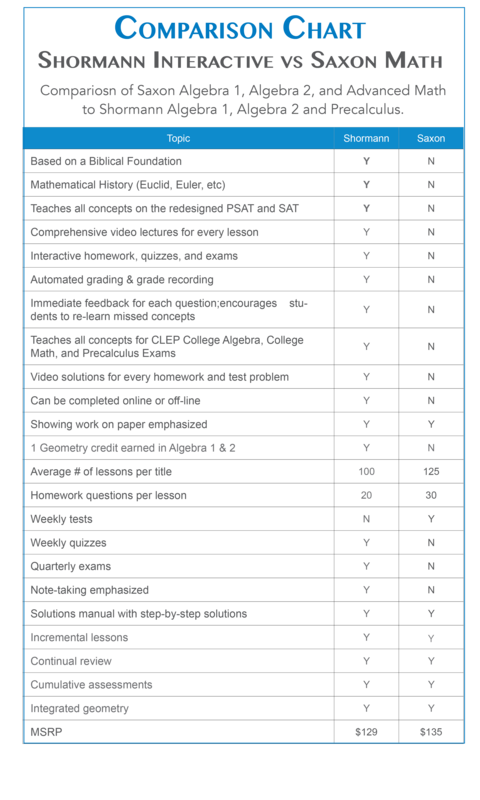 This makes it very easy to see that your student has completed all the required credits. Learn more about How to create a high school transcripts. Can my student transition from Saxon to Shormann Math? Yes! Please see the transition recommendations here: Placement Chart. Can Shormann Math be completed offline? 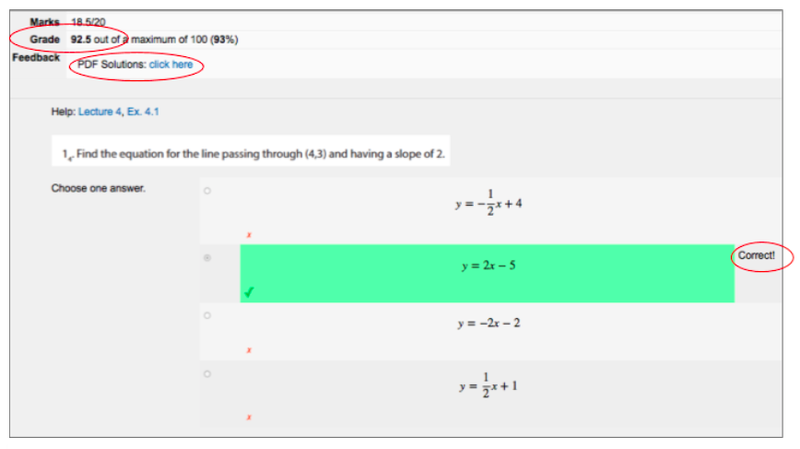 While the online eLearning course, featuring automated grading, instant feedback, and embedded links for quick and easy re-learning, is the most efficient way to complete Shormann Math courses, most assignments can also be completed offline. Please see How to Use Shormann Math Offline for detailed instructions. Is Shormann Math Common Core aligned? No, Shormann Interactive is built on a biblical foundation and has not been influenced by the “new math” in Common Core. However, it still provides excellent preparation for the redesigned PSAT and SAT, the ACT, as well as CLEP and AP exams, and college level math classes. Can I print or save the online assignments? Yes, after each assignment is completed, a results page, with the questions, correct answers, and the students answers, is displayed. The results page can be saved and either printed or emailed to the parent or teacher. Do I need to print the eText, eSolutions Manual,or eTeacher Guide? No, it is not necessary to print any of these materials. All the content the student needs to complete the assignments are posted in the eLearning course with easy access. If you want to view the files offline, simply download and save the files to your computer. My child has a learning disability. Can the time for the tests and quizzes be modified? Yes. Have the student take each test or quiz twice. In the first attempt, complete only the first half of the exam. In the second attempt, complete the second half. Add the two scores together then request a grade change here. 1. Because they contain downloadable files, I understand that accessed courses can't be refunded or exchanged. 2. I have read the Prerequisites section on the Description tab. Dr. Shormann explains and teaches the calculus in an excellent way. I'm highly satisfied with this course.